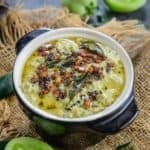 Green Tomato Chutney makes for a delicious accompaniment with any Indian meal and is easy and quick to make as well. 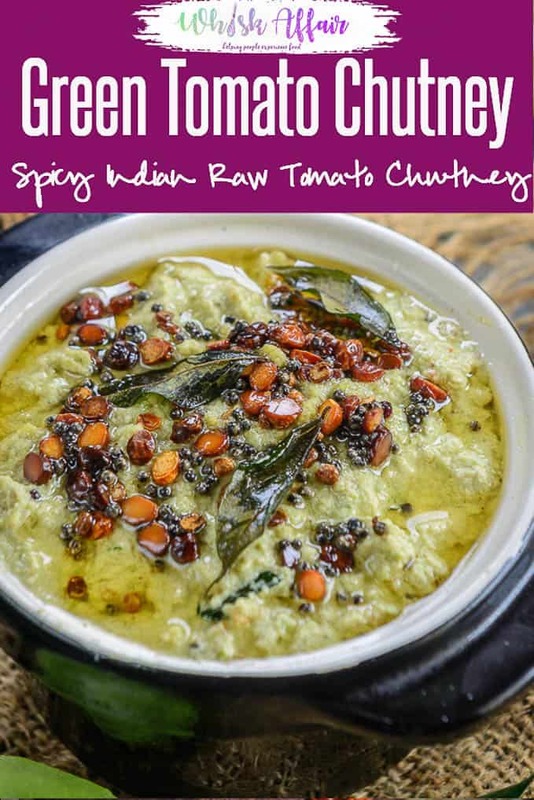 Made using raw tomatoes, loads of green chilli and a tempering of spices, this chutney is a must try recipe if you love spicy food. 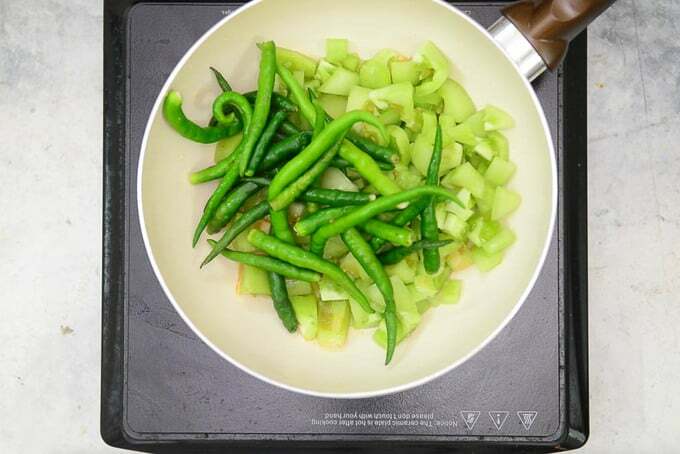 Here is how to make green tomato chutney or raw tomato chutney. As much as I love to cook with seasonal ingredients, I also like to grow seasonal vegetables in my vegetable patch. With Bangalore weather at it’s best, my vegetable garden looks very happy these days. Variety of greens, loads of green chillies, tomatoes, brinjal, bottle gourd and many more vegetables are starting to grown and I almost have a daily supply of fresh vegetables to cook in my kitchen. 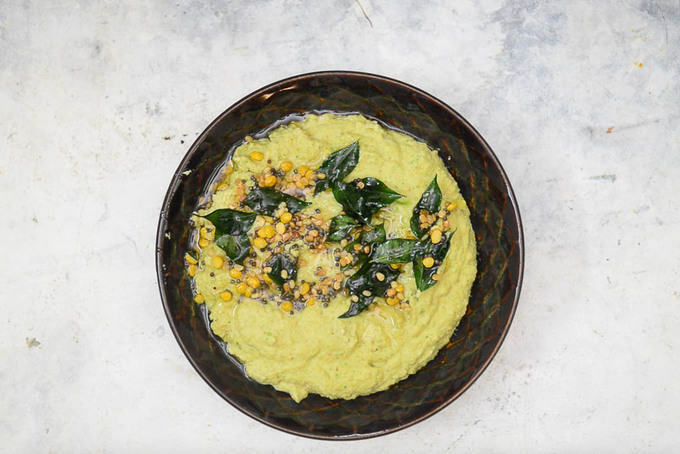 While growing up, the most common chutney which was made in my house were the sweet tomato chutney, coriander and mint chutney and Garlic chutney but after I came to Bangalore, I was exposed a whole new world of chutneys. In South India, chutneys are made out of most vegetables and they taste amazingly good. Pair them with dosas or idlies or rice and curd, they are sure to make you crave for more. This green tomato chutney is one of those chutney which I make every time I get hold of raw tomatoes. So when I saw a surplus growth of tomatoes on the vine in the vegetable garden, this was obviously on the list to make. 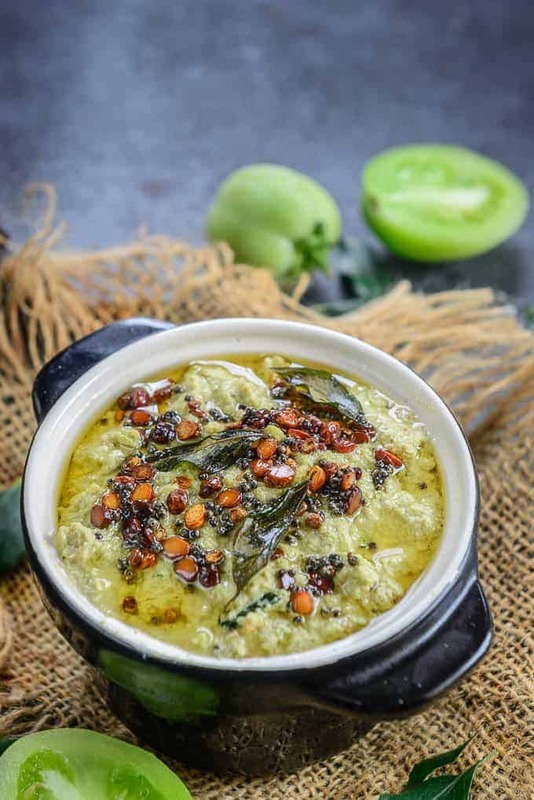 I learned this green tomato chutney or Pachi Tomato Pachadi from my house help who is from North Karnataka and the food of this region is on the spicier side. You can reduce the amount of green chilli if you wish too. Also try and use the local variety of tomato to make this chutney as they are more tangier than the hybrid ones. If not available, increase the amount of tamarind to get that tanginess in the chutney. You can also add roasted sesame seeds in this chutney for a nice nutty flavour. 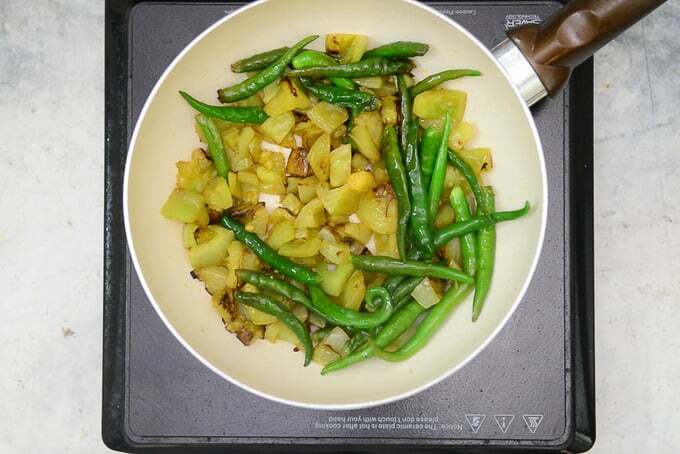 Here is how to make green tomato chutney or raw tomato chutney. 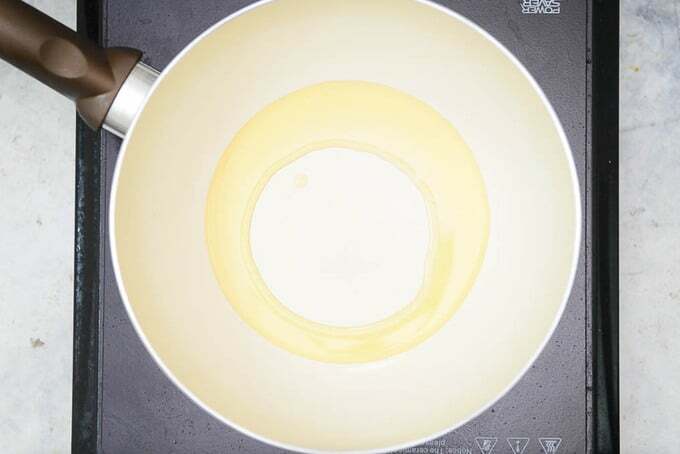 Once the oil is hot, add tomato and green chilli and cook for 8-10 minutes until tomatoes are charred and nicely cooked. Transfer the tomatoes and chillies in the jar of a blender. Add garlic, peanuts, salt and tamarind paste and grind to make a smooth chutney. 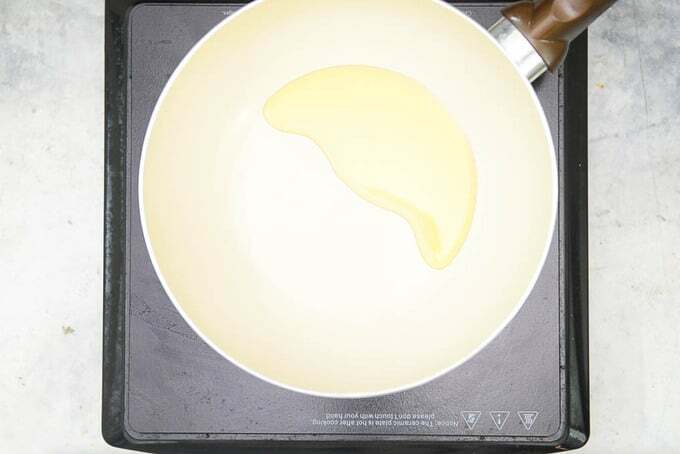 For the tadka, heat 2 tsp oil in a small pan. 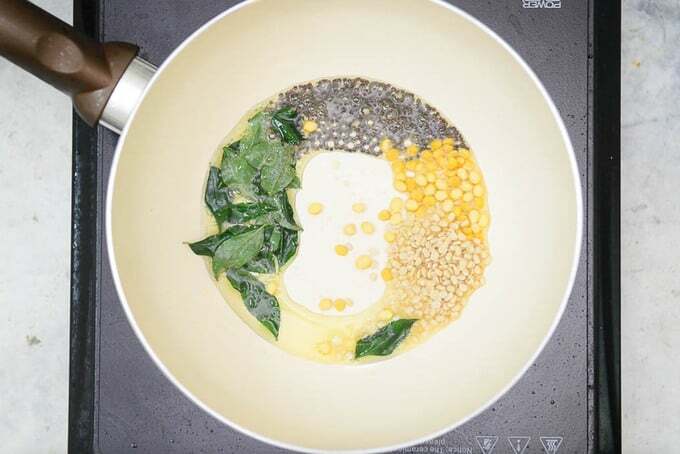 Once the oil is hot, add mustard seeds, chana dal, urad dal and curry leaves and let the dal turn brown. 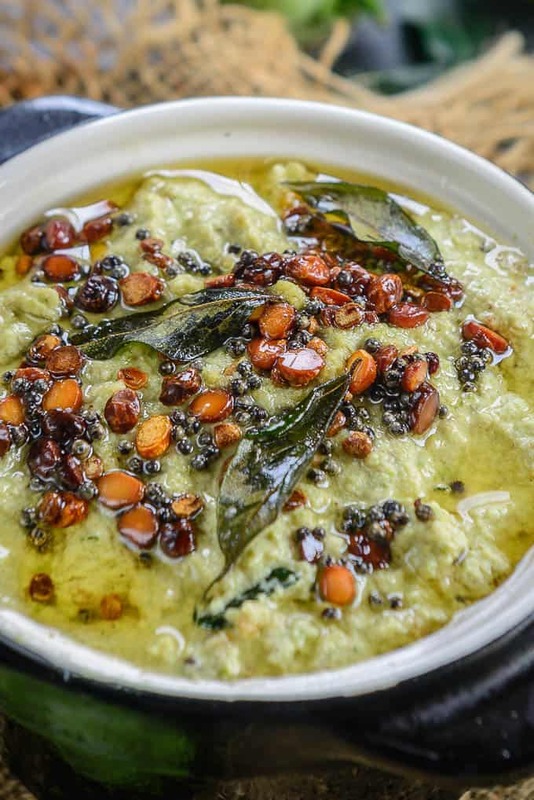 Pour the tadka over the chutney. Raw Tomato Green Chilli Chutney makes for a delicious accompaniment with any Indian meal and is easy and quick to make as well. 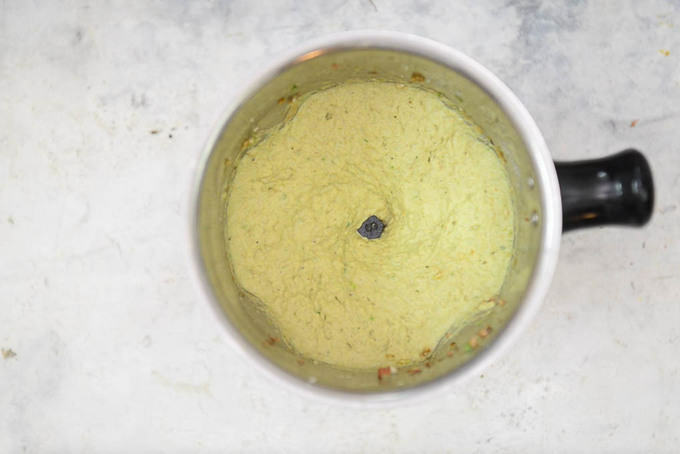 Transfer the tomatoes and chillies in the jar of a blender. 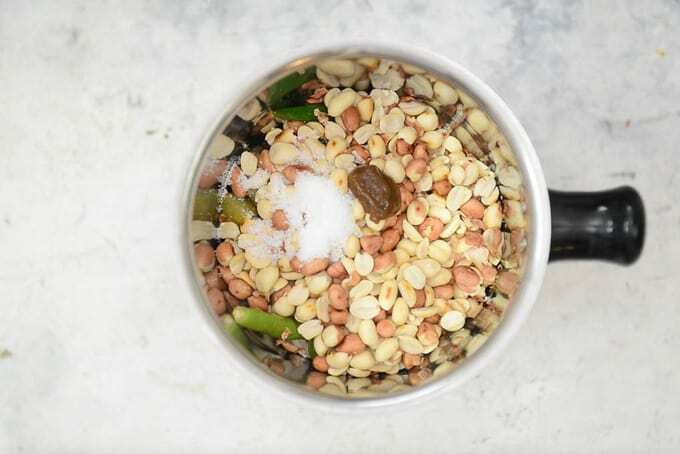 Add garlic, peanuts, salt and tamarind paste and grind to make a smooth chutney. Serve with rice and curd. Wonderful. Salivating as I type this!